A little girl dreams of having her very own pet. But what kind of animal would make the best companion? A mouse is too small, a cat is too ordinary, and a fish is too …wet! As she plays with her toy dinosaur, inspiration strikes. What about a real, live dinosaur? She could ride it to school. It would need lots of food to eat, a swimming pool to drink from, and a dino flap so it could come and go! At the end of a day spent busily imagining, the girl trudges up to bed with her little plastic dinosaur. As she falls asleep, the dinosaur from her daydreams stands in the garden with its head poking through the bedroom window, making her dreams come true. 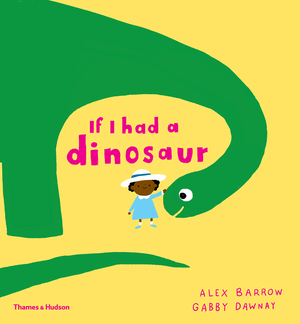 With playful illustrations, If I Had a Dinosaur is a charming, witty, rhyming story celebrating the power of a child’s imagination. 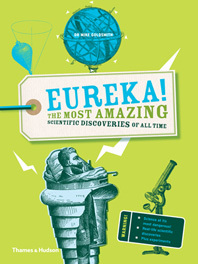 A fantastic story conveyed through the vivid imagination of a child. 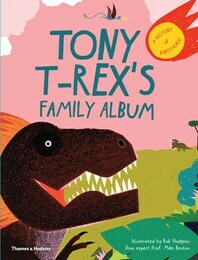 Perfect for storytime or for newly independent readers… Dinosaur enthusiasts and young children will love it. 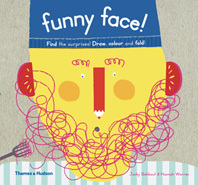 This book is perfect for building rhyming skills in young readers. 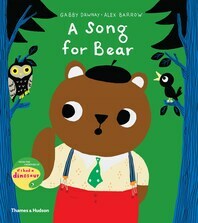 The cheerfully thoughtful and detailed illustrations by Alex Barrow make this an instant bedtime classic. 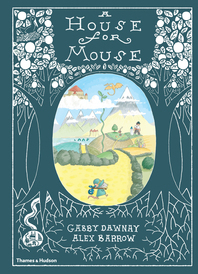 Gabby Dawnay is a writer and poet. She is a regular contributor to OKIDO magazine and a scriptwriter for children’s television. 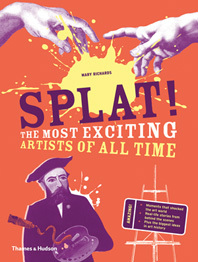 Alex Barrow is a London-based illustrator and both the art director and a regular contributor at OKIDO magazine.